One of the colonies in the queen condo graduated today. 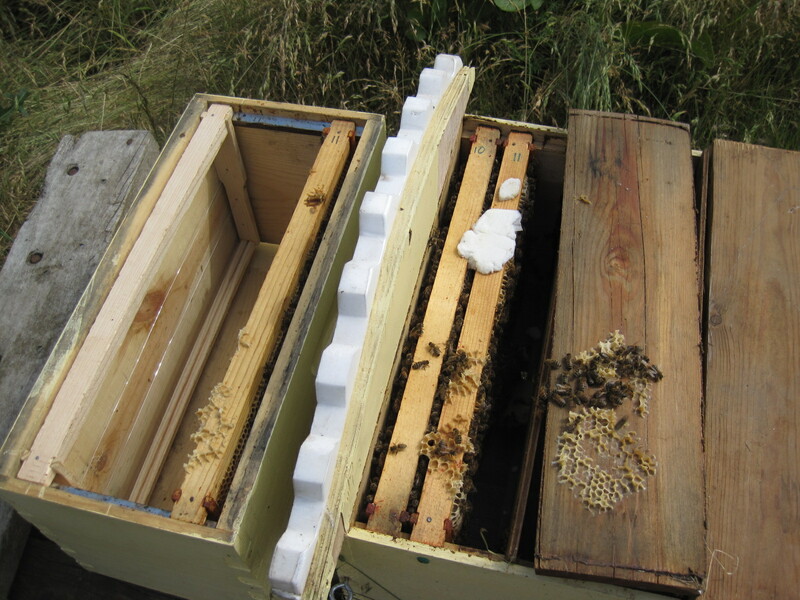 They had completely filled their three frames and were drawing wax on the lid–a fair sign they’re ready for more spacious accommodations. 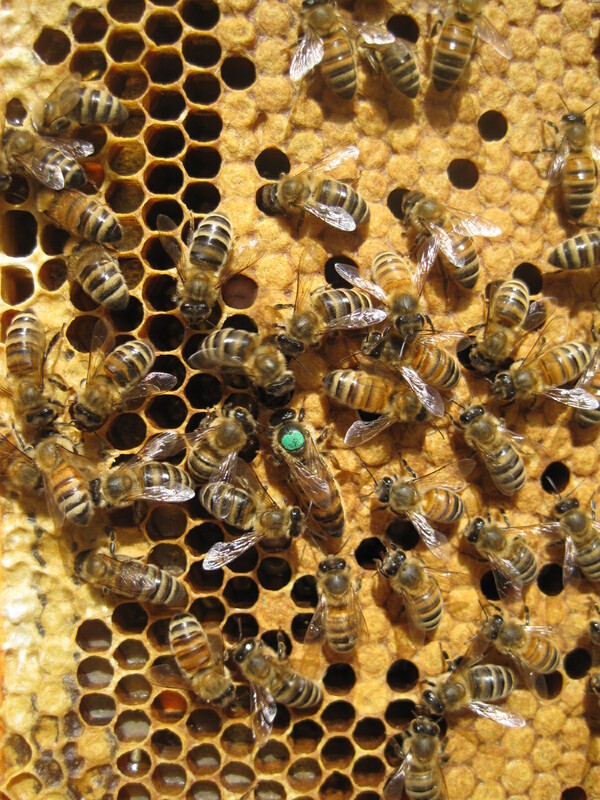 I marked their lovely queen last time I visited them (green for 2014), and here she is, doing a good job laying in every open cell she can find. The empty-looking cells in the worker brood are little reserves of nectar, probably the bee equivalent of the corner store for feeding hungry larvae.